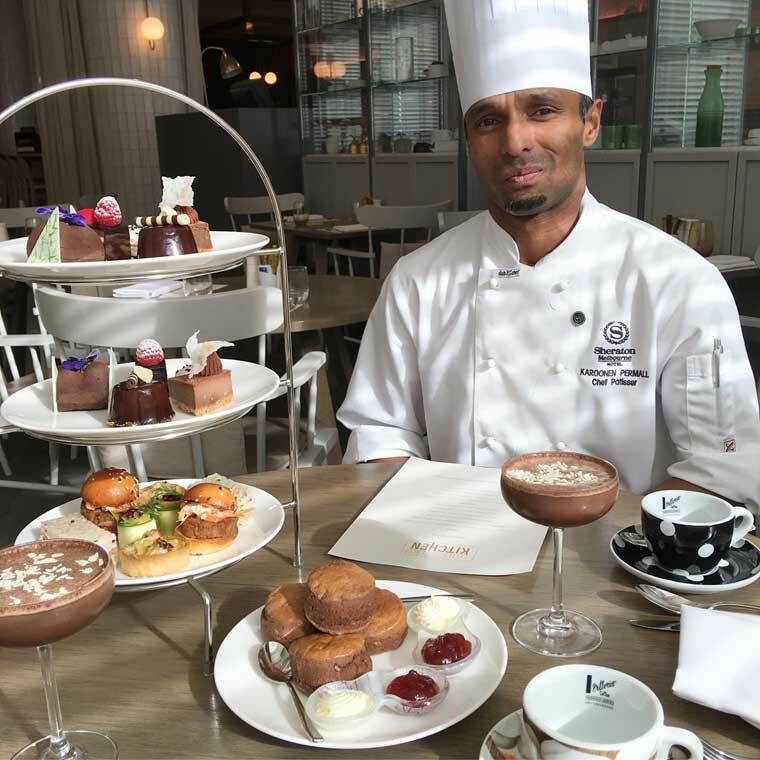 Stepping away from the traditional High Tea, the Sheraton Melbourne's Chocolate High Tea is a decadent and delicious delight. 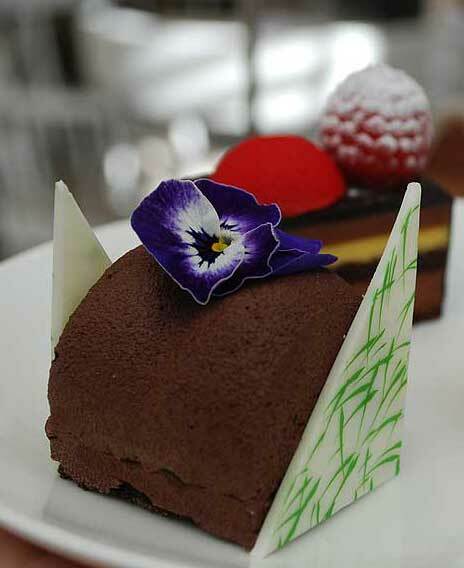 Turning away from tradition, the Sheraton Melbourne, introduces it Chocolate High Tea. For the month of August, guests can enjoy a deliciously rich chocolate feast complete with a Chocolate martini. This is really a sweet tooth’s dream, with a tower full of chocolate treats. The Chocolate Martini is creamy and smooth and a unique High Tea beverage. This vodka based martini tastes like liquid chocolate and is topped with white chocolate shavings. It is so easy to drink, it can be tricky to stop at just one. The savouries were first to be eaten. A staple to any High Tea is a finger sandwich and the salmon finger sandwich was delicious and made with freshly cooked bread. Alongside this was the cucumber and feta cheese roll and the roasted cauliflower and blue cheese quiche. Both were enjoyable and the perfect size without it being too much. The highlight of the savouries was the pulled pork, apple and cabbage slaw mini slider. It encapsulated everything a good slider should be, fresh brioche bun with well-proportioned and flavoursome fillings. Now onto the best part, the chocolate delights. With so many delicious looking sweets it was hard to know where to begin. Each sweet showcased a different way in which chocolate could be enjoyed. Three types of chocolate were the cores of each sweet, milk, white and dark chocolate. There was a white chocolate mousse and chestnut spread and a white chocolate and coconut Malibu macaron. Both were light and fluffy and easy to eat. The macaron was very pleasant and didn’t have an overpowering coconut flavour which was refreshing. Then there was the milk chocolate cheesecake, which was creamy and the rice cracker added a bit of crunch and a savoury element to it. The dark chocolate Amaretto with pistachio ganache was very rich and indulgent. Not something that I can eat a lot of. The hero of the sweets was the dark chocolate passion fruit and delight with raspberry sphere. The presentation showed each of the layers involved in the creation and the flavour was superb. The addition of the fresh raspberry on top, gave a slight tangy addition, which was very complimentary. The chocolate scones were an unexpected element to the High Tea. It wasn’t until breaking into them that their chocolate filling came oozes out. Accompanied with jam and cream they were delicious, but after all the other sweets I could only stomach one. Alongside the chocolate martini, we enjoyed a cup of tea I opted for the classic English Breakfast, this really helped to cleanse the palate and settle the stomach after so much rich chocolate. The table was presented in crisp white linen and the tea stand wasn’t intrusive with white crockery and sliver embellishments. 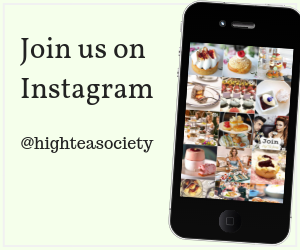 Sitting next to the window, the winter sun shone in creating a cosy and well-lit space to enjoy the High Tea. 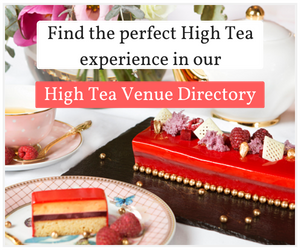 This High Tea is the perfect way to spend a winter afternoon, enjoy it with girlfriends or a romantic occasion with a significant other. Each stand caters to 2 people, without having to worry about sharing your favourites. It will leave you feeling full and content and ready to cuddle up on the couch.